As we gear up for Red Nose Day, we'll be holding events all over the windy city. Check back soon – new events are added frequently. "I support Red Nose Day because I've seen first hand the effect poverty has on children's lives. Both in the United States and abroad I have worked with children who go to bed hungry, who can't focus in the classroom because they don't know where their meal is coming from, and who can't afford or don't have the resources for proper healthcare. I love creating things and wanted to combine my work experience with my passion for grassroots organizing to create a Red Nose Day community here in Philadelphia." Community Coordinators help people around the country get involved with Red Nose Day in their city. 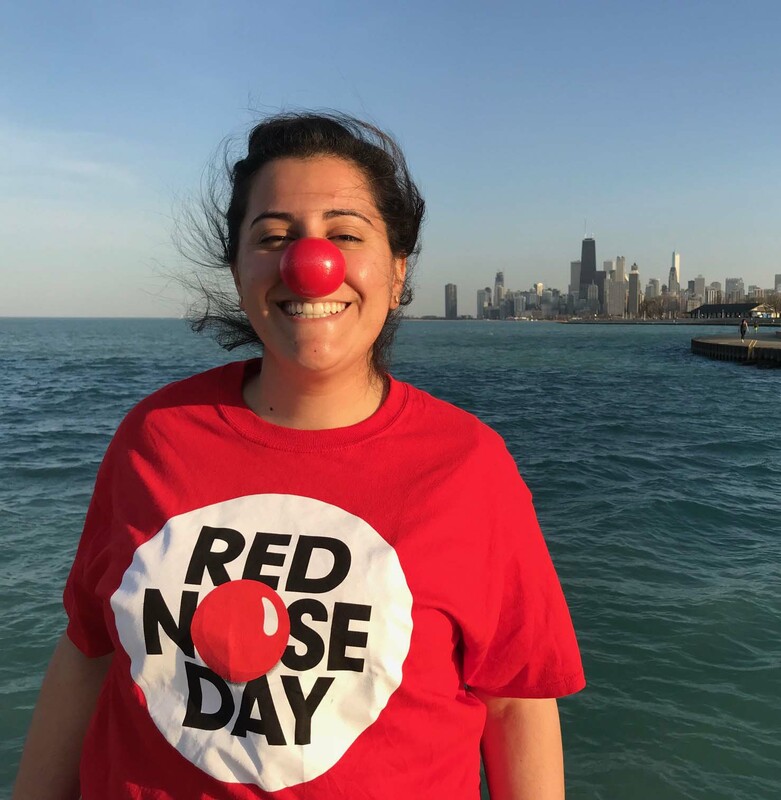 To get involved with Daliah in Chicago, join the Red Nose Day in Chicago Facebook group. We joined Comedian Calvin Evans to tour his hometown of Chicago, and see how people are coming together to help end child poverty.